As one of America’s largest and quickest growing cities, it makes sense that we should pursue policies that promote a thriving urban environment. 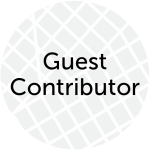 The Let’s Move Seattle levy does exactly that and allows us to keep pace with our population growth by building a transportation network that is more effective for all users. Seven new RapidRide+ Transit Corridors. The Let’s Move Seattle levy would add seven new high-capacity, transit-prioritized routes in every district in the City. With buses that come more often, off-board payment, transit-only lanes and more, these RapidRide routes will give Seattle residents even more options to get around. Improved Access to Our Growing Link Light Rail Network. The Let’s Move Seattle levy funds a new light rail station at Graham Street in Southeast Seattle to connect more residents to Link, funding for the Accessible Mt. Baker project to make that station easier to use, and the Pedestrian/Bike Bridge over I-5 at the future Northgate Station. Hundreds of Blocks of New and Improved Sidewalks. The Let’s Move Seattle levy will add 150 blocks of new sidewalks, prioritizing neighborhoods with the most need, and 225 blocks of sidewalk repair. New Miles of Protected Bike Lanes. 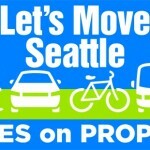 The Let’s Move Seattle levy builds 50 miles of protected bike lanes, completing over half of the Bicycle Master Plan. Vision Zero. Safety is the core value of the Let’s Move Seattle levy and significant investments are made to achieve the goal of zero deaths or serious injuries on our Seattle streets, including: 60 miles of neighborhood greenways, improvements at 750 intersections, and 15 safety corridor improvements on our busiest roads. Safe Routes to Every Public School. As families flock to Seattle, it is important that our children have safe, accessible ways to get to class. Every public school would see a project – prioritized by those in low-income neighborhoods – with improvements extending out to a 1-mile walkshed. Using Technology to Move People and Goods Efficiently. Data and technology play an increasing role in smart movement throughout our city. Let’s Move Seattle would implement next generation Intelligent Transportation System improvements and traffic signal optimization to move more people safely and efficiently. Affordable and Progressive. The typical Seattle single-family household will pay an additional $12 more per month. Our Time Is Now. 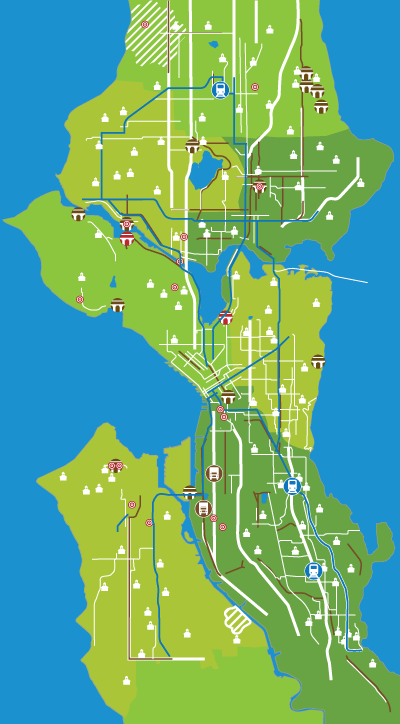 Let’s Move Seattle builds off of the recent success of last year’s Metro investments ($) and next year’s ST3 package to expand Link throughout our region. Delaying these projects would only add to the cost and put our city further behind in achieving the transportation network we need – and deserve. Ballots are mailed to voters this week. Winning these important investments will take a collective effort from urbanists and other supporters. Opponents and others opposed to smart growth will try to mislead residents to stop progress. We need your help to talk to your family, friends and neighbors about why you support Let’s Move Seattle. If you would like to get involved in the campaign during the remaining three weeks, sign up on our website. We have phonebanks every night of the week and canvassing neighborhoods every weekend. Next articleOut of Scale in Pioneer Square? Elliot Helmbrecht is the Campaign Manager for Let's Move Seattle, Yes on Prop. 1. Move Seattle includes $20M towards the construction of the Lander St. Overpass. An overpass in SODO may be a good idea. Placing it on Lander – a “stub” arterial – makes no sense at all. If this overpass is needed it should be placed on Holgate, an arterial that actually connects with the greater city. The Lander alignment would also cut off large truck access to Seattle Public Schools’ John Stanford Center, making many of the current functions at Stanford impossible. $22M is the current estimate for purchasing replacement Ops/warehouse space elsewhere in the area. Please petition to redact or revise the Lander Overpass project.